Welcome. 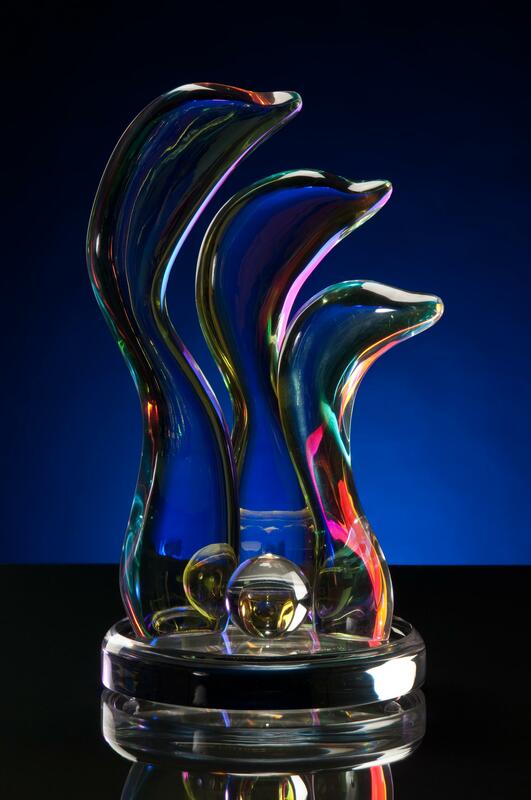 We are two sculptors working in acrylic media. For 40 years we have been hand-making scenes of birds and fish, people and families, fire and fantasy. Some pieces are abstract beyond the wish to communicate the kinesthetics of dance or the harmony of figure. We hope you find pleasure in our work. 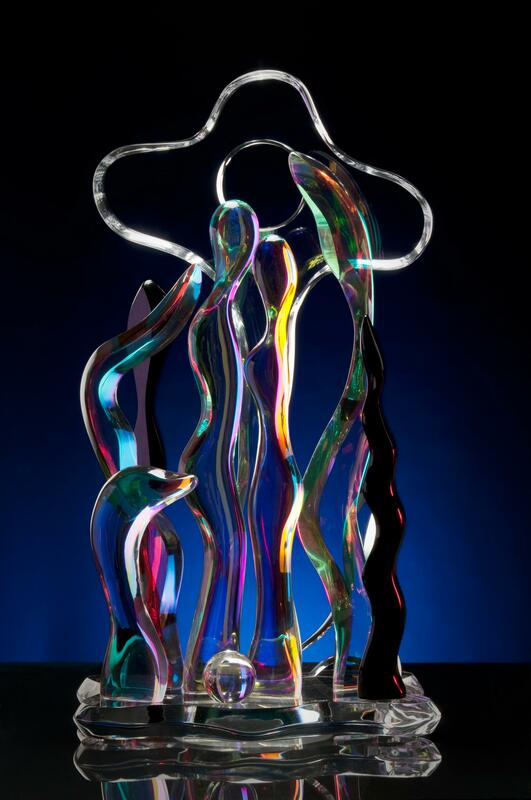 Starting from solid acrylic material, each sculpture is bandsaw-cut into its component pieces. The material, solidly colored either black or clear, varies in thickness from 3/16 of an inch to 2 inches. 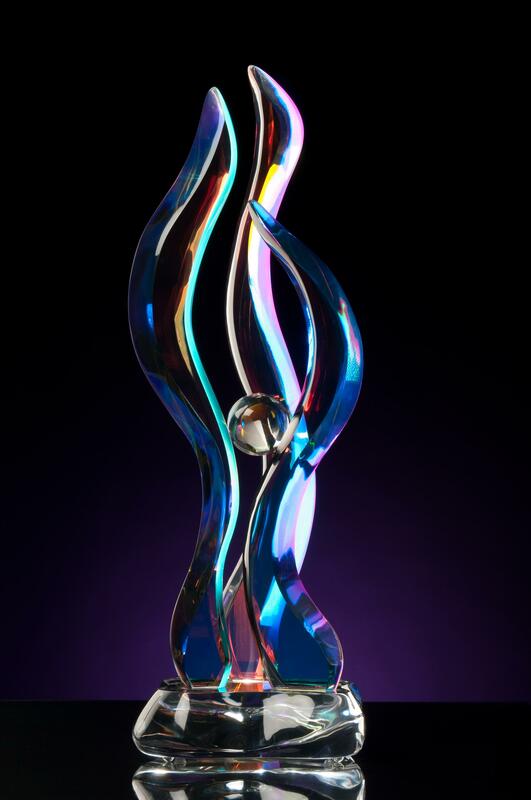 We also work with a new dichroic acrylic material that renders iridescent colors. Having cut the pieces for a sculpture, we then grind them into their desired shapes. Next their edges are sanded and polished. In the case of some of our more torsional and whimsical sculptures, the pieces may be heated in a large, ten-foot oven until they can be reshaped by delicate handwork. Finally the pieces are assembled onto an acrylic base (handmade by the same process), fused with a solvent, and sometimes accented with a red or black or clear acrylic ball. 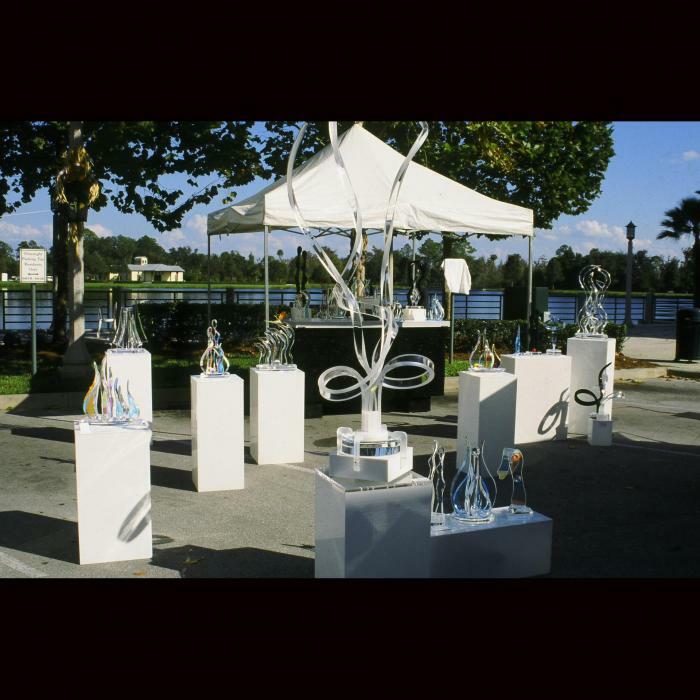 Each finished sculpture is a unique, signed original. 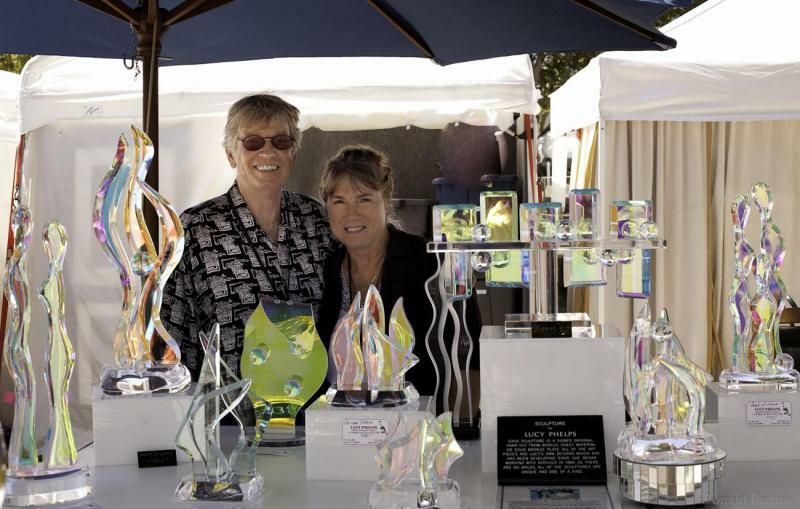 We exhibit our sculptures at art shows and festivals around the country. In the winter and spring months, our shows are concentrated in Florida, where we live and work. In the summer and fall months, our shows are concentrated largely in the Midwest: Illinois, Indiana, Michigan, Ohio, and Pennsylvania. Copyright 2011 Phelps Sculpture. All rights reserved.